I am wondering what is the theoretical material difference of a dead draw which is not a stalemate? (I am not asking about agreed draws.) 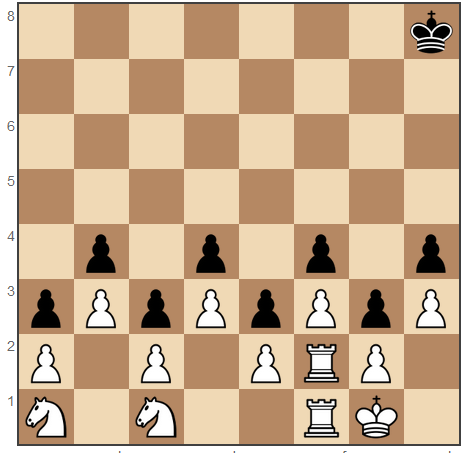 Apparently we could not add more rooks to the diagram as all white pawns have not been promoted. By the way, the game above is not drawn by the insufficient material rule, as white can theoretically win the game if black makes a blunder such as capturing the rook. White can force a draw from this position with 75. g8=Q+ and perpetually check the black king. The end position given above (before the pawn promotes) is the moment of maximum material difference in this forced draw. I think it's reachable from the original position, although it would be difficult. I'll let you know if I can. The knight gives a perpetual. I think this position is possible, but I have not verified it. You could add a white bishop on g1 and a black knight on f5, but the material difference remains the same. With white to move the following position is a draw with the maximum possible material difference. The position is not currently stalemate but will be with correct play from white. 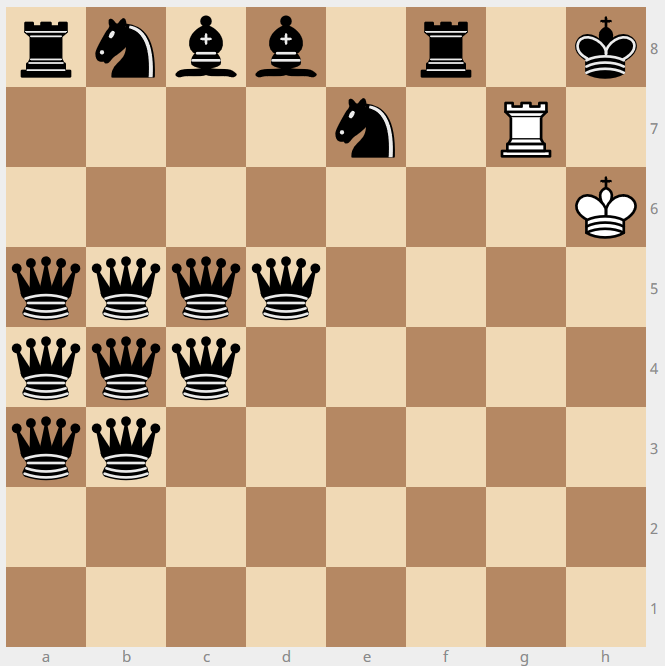 If white plays Kh1 any move from black will result in stalemate. Not the answer you're looking for? Browse other questions tagged theory draw or ask your own question. Probability of making a game-losing move as a function of Elo?